geniaBeana Scraps: Sales and the GDS Daily Download! I just celebrated my 30-Something birthday and in continued celebration I've got my shops at ES and GDS on sale for 30% off. I've also got the Daily Download at GDS today. 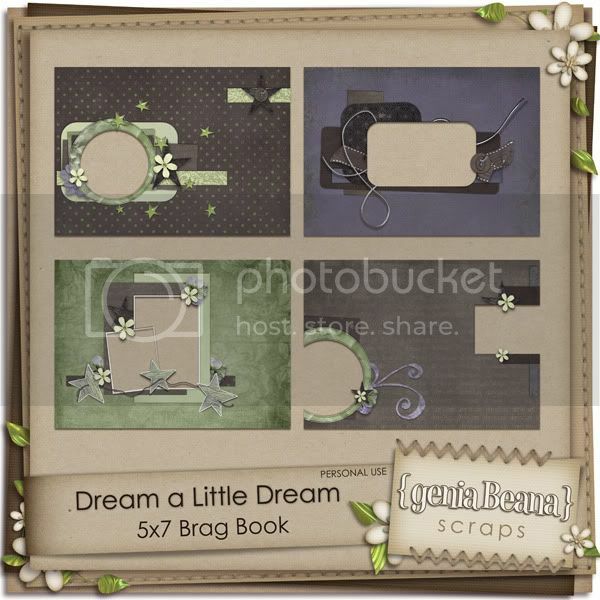 So head over to grab these dreamy 5x7 brag book pages. They were made using my Dream a Little Dream kit. You can get the kit for 30% off at both shops, too. I'll be back Sunday with a little sneaky peek of my Elemental Scraps February Color Play items.